The collection drive was spearheaded by the National Junior Honor Society, under the direction of adviser MaryLou Christenson. 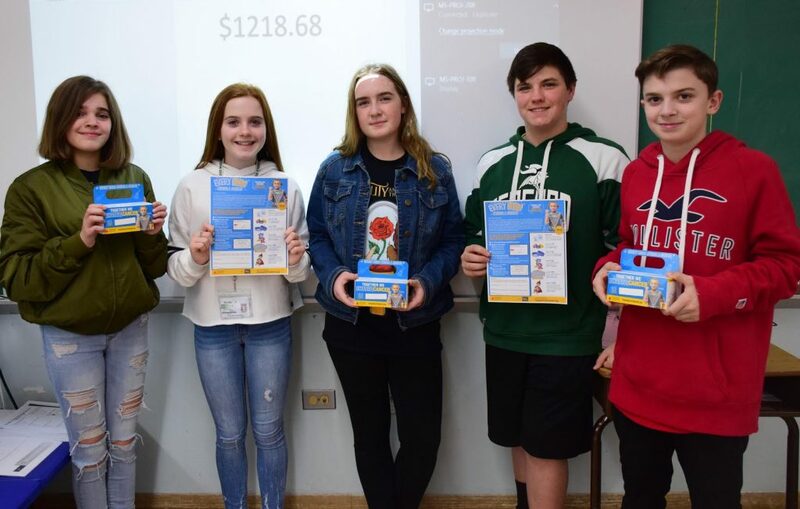 Members visited extra-help classes at the end of each school day with their blue Pennies for Patients boxes to collect donations from their peers. “It’s nice to help people in need and it feels good,” said NJHS member Karl Leudesdorff. Photo Caption: Seaford Middle School National Junior Honor Society members, from left, Hailey Salce, Emma Guinan, Kerry Wise, Karl Leudesdorff and Joseph Saurman were among those who helped collect donations for the Pennies for Patients campaign.